I thought about just leaving the subline in as the whole story for the month, you know, since Diablo 3 releasing on consoles was sort of a big deal. But other stuff DID happen. We held quite a few contests actually, rewarding our loyal readers for a chance to win some goods. We reviewed a bunch of games, including indie gems Iron Clad Tactics and Legend of Dungeon. What else did you miss? 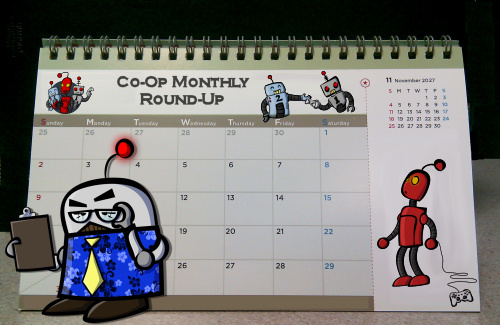 Here's what went down in September, 2013 for co-op gaming. Page created in 0.6797 seconds.